As soon as I bring up elevator etiquette during a business etiquette seminar, I can be sure it will elicit some comments and opinions. Interestingly, the most mentioned issue is leaving the elevator. People always want to know what the protocol is. They think they know what to do, but thinking you know isn’t enough. Actually knowing what to do is what’s important because when you know what to do you exude confidence. Manners are valuable because they tell us what to do and what to expect others to do in any situation. The result: Instead of wondering or being unsure and therefore unconfident, you can act in a confident manner. Back to the exiting the elevator question. The answer is simple: When you’re in a business situation, the person closest to the door in a crowded elevator, man or woman, should step out first. Keep going, if that’s your stop, but, if it’s not, step to the side as passengers exit and then step back in. It’s always nice to reach back to hold the door and prevent it from closing on the people exiting after you. 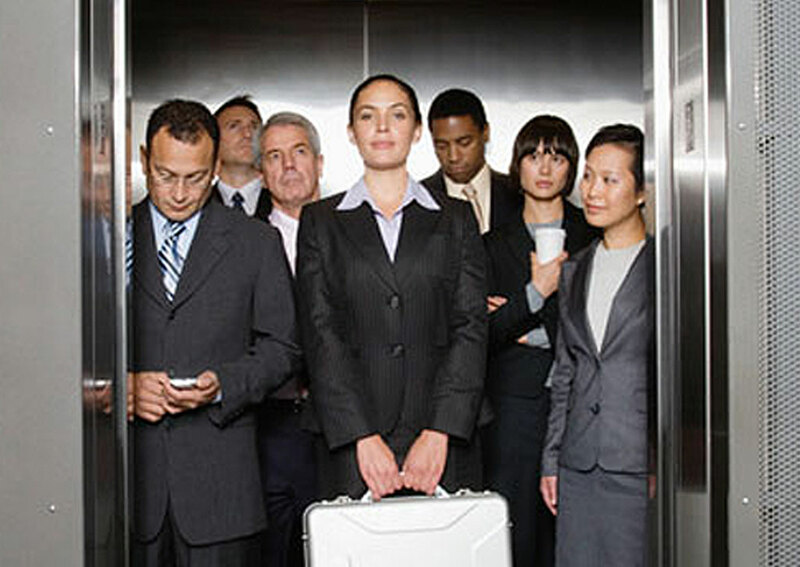 If you remain in the elevator, one of the nicest things you can do for fellow riders who are exiting is to engage the “doors open” button to hold the doors while they exit especially if you notice the doors are starting to close. The other frustration raised by seminar participants is about inappropriate conversations in elevators. It is virtually impossible to carry on a private conversation in an elevator without being heard by others, even if they don’t want to hear. Avoid conversations of a confidential nature such as: contract discussions, candidate qualifications, gossip (which shouldn’t be engaged in anywhere for that matter), or client/prospect/supplier issues. The same goes for cellphone calls and conversations. People are frustrated enough by having to listen to other peoples’ cellphone conversations, but the confined space of an elevator car magnifies the problem. If your phone rings either send the call directly to voice message or answer and ask the person to wait until your car reaches its destination before beginning a conversation. When entering move to the back. If you’re near the control panel ask others what floors they would like to go to and press the button for those floors for them. Mirrors help to visually expand the space, but they shouldn’t be used for personal grooming. If the elevator that’s just arrived looks jammed, take a pass and wait for the next one rather than forcing your way in and cramming yourself up against other riders. A quick greeting “Hello” to others is pleasant, but avoid engaging others in a drawn-out conversation.